I’d like to dedicate this site to all the precious Companion Birds in Australia. I am a Bird Behaviourist and Educator and Bird Welfare Campaigner. 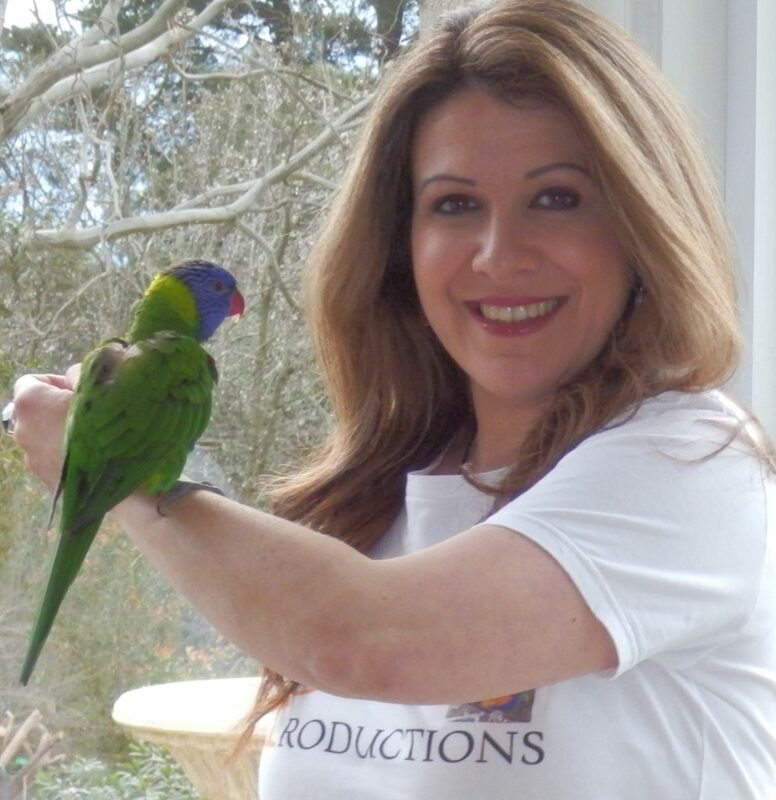 At my private home, also live with me my extended bird/parrot children, who I have rescued and adopted – I call their home ‘Agapi’s Sanctuary’ , which is Australia’s first Holistic Bird Sanctuary. I manage and care for our children constantly with the help of my husband. No sleep ins- no days off – for over 17 years now at least. Amongst our daily turmoils, sometimes humans forget that we share this planet with birds and not just human beings. We may forget the impact all our actions have on non human animals especially companion birds. My life journey passion is Parrots/Birds and speaking up for their welfare- as I’m sure many of you out there love them just as much as I do. convincing the Australian state governments that birds need to be protected legally with strong welfare laws and not bred and sold. I have a passion to educate and inform you further of how to care & love Companion Birds (including their physical and emotional well being). My aim is also to meet online with like minded bird lovers and caregivers and collectively share knowledge and campaign against the increasing Companion Bird abuse in Australia: the shocking and unacceptable abuse whilst keeping Companion Birds in homes, breeder facilities and pet shops like one would keep wilting flowers in a florist. So this is what this site is about- ….